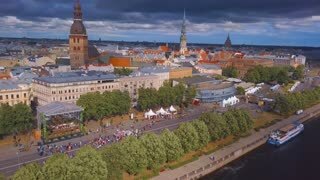 Search Results for "aerial dancer"
Aerial view of the Riga old town celebrating "Jani" with people dancing and singing in the center of Riga. 20 Jan, 2016. Aerial shot, Native American Indians dance in ceremonial circles for the changes in seasons. Aerial shot, Native American Indians dance in ceremony. Girl dancer on aerial silk. Slow Motion. Aerial gymnastic. Acrobatic show.